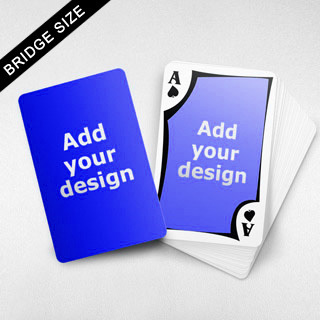 Design your own unique playing card deck. 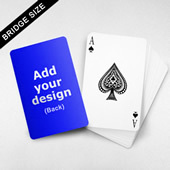 Upload your company logo, unique artwork or a personal message to these cards. 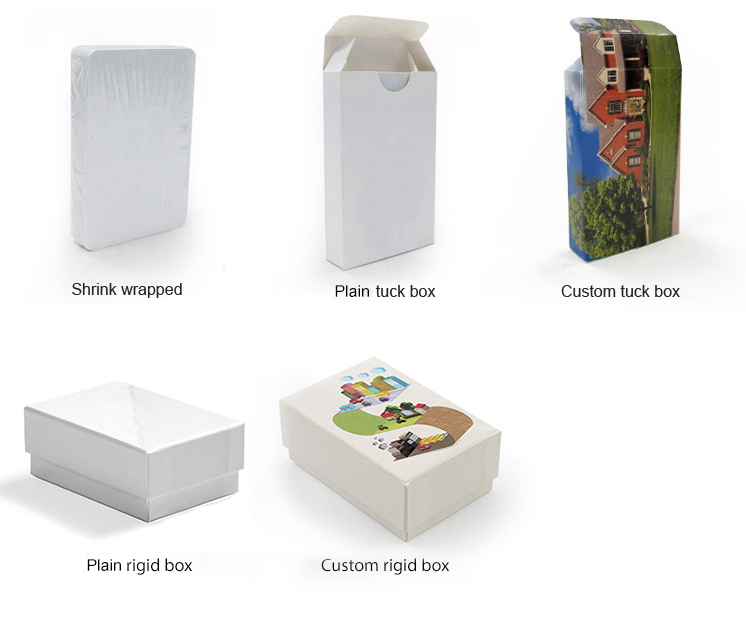 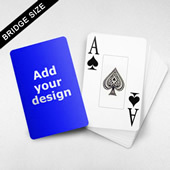 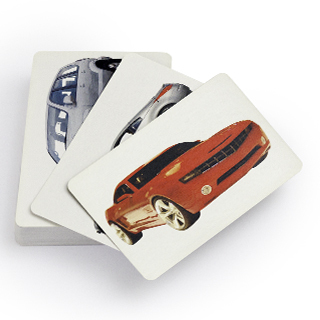 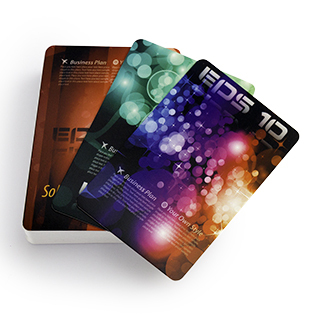 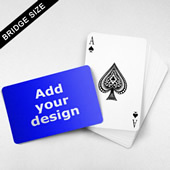 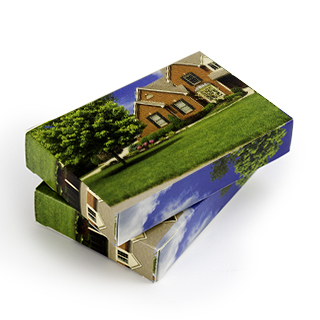 The card fronts feature a stylish format that features your image.